Here’s how to organize the best desk setup to stay productive in the workplace! Desk organization can be tricky, but here’s how to choose your best setup for the office! It seems that no matter where you work, every office runs into the same problem. Desk organization is a chronic issue that can cause a lot of strife in a workplace. Lost papers, cluttered desks, overzealous use of cleaning supplies... There’s a lot of ways that a disorganized desk setup can interfere with an office. It’s important to understand how an office layout can affect productivity and overall workplace psychology in your environment. Your desk setup should be the best atmosphere for generating new ideas, however you choose to organize yourself! Let’s get started by discovering your own personal office layout! 1. What Is Your Office Layout Personality? Many people really do strive to keep a clean desk at the office, but for you it’s as natural as breathing. 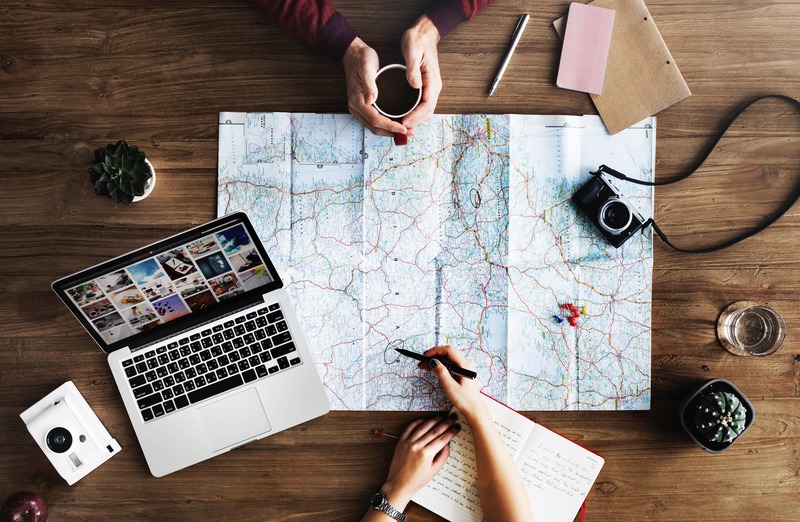 Papers are neatly arrayed, wires are never crossed, and if something new lands on your desktop you can bet it will be sorted appropriately and without hesitation. Some would describe you as minimalist, carrying out tasks with high attention to detail and rarely veering off course when a plan is set in place. You should use practical items like tissues, coasters, and wire sorters to keep your desk organized, instead of accessories that will take up useful space. The opposite to the organized-type, the employee psychology profile of a 'clutterer' places a greater importance on achieving a goal than the way it is done. If that means sacrificing room on your desk for all your materials, so be it. You’ll have multiple notepads stacked up with criss-crossing cables overtop of them, next to a computer with dozens of tabs open for the various trains of thought that you have running. But that doesn’t mean it gets in the way of brilliant work, in fact it’s how you thrive. Less concerned with where everything is placed, those who clutter prefer to have everything close at hand and are perfectly fine with leaving tasks midway in order to work on their latest idea. You should gather versatile tools like a box for finished projects, specialty notepads for sudden inspiration, or a white board to contain your bombastic creative process. Feel free to try and contain your “mess” but don’t clean up what may be a delicate balance. 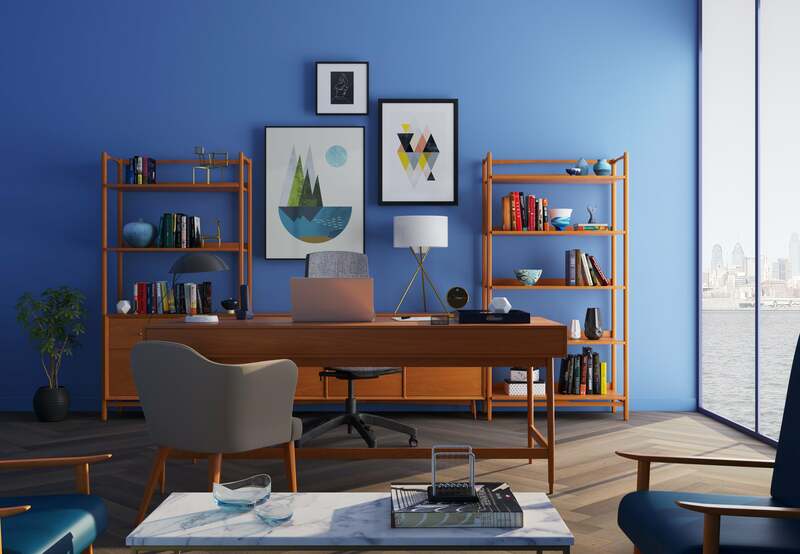 Whether your desk organization means having strict order or an abstract office layout, embracing your personality style will always make you a better employee and a happier person. It’s true that we all like to be in charge of our own desk setup, but what is the science behind this type of workplace psychology? A study conducted on workplace efficiency strategies gave employees three options. They could either personalize their workspace with art and office plants, let someone else decorate, or leave it bare. The researchers found that compared with no office plants or art, those who were allowed to alter their workspace were 32% more productive than those who were not. Researchers reported that this was because employees felt more comfortable and empowered with some autonomy in an environment where they were given tasks to complete. Another group found that employees who could bring in personal items for their cubicle and desk setup were less likely to suffer from emotional exhaustion in the office. It is clear that having more control over your office layout will improve both your work performance and your own mental health. Check out our article on the coolest office decor ideas for the modern workplace! So now that you have properly organized your desk in the office to suit your working style, what else can you do? Well there are plenty of useful items that you can keep to actually make you more productive. Try out these creative extras to add some flair that will help you grow into a better person! These leafy greens are proven to reduce stress by producing more oxygen for the building and serve as a constant reminder of growth, an easy trick to improve workplace psychology at your desk! 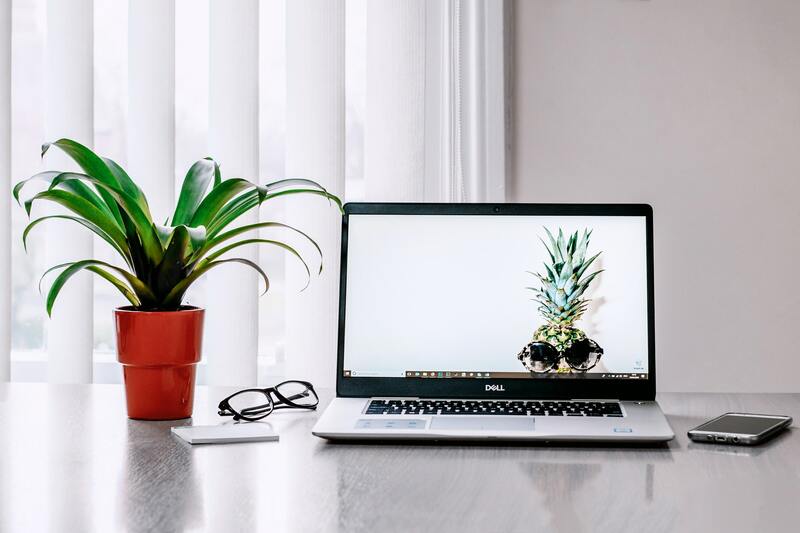 Not only do office plants improve office morale overall, but taking care of a plant on your desk is a good way to boost cognitive function and maintain good physical health. Several studies done by Harvard saw subjects increase their scores of information reception by 300%, focus on simple and complex tasks by 50%, and take fewer sick days taken overall. Here are 7 reasons why office plants make you happier! Simply put, the more plant life you can keep on your desk the better your team will perform and the happier they will be just showing up to work! If you think about it, employees that have to dash out to a convenience store once or twice a day isn’t actually all that convenient. Employers who provide delicious treats that their team actually enjoys eating proves to them that they are valued members of the organization. Nutritious options like granola bars, dried fruit and sparkling water show that you have their health in mind, making the office feel more like a home. It can be difficult to start a snack program from scratch, especially if you’re stuck driving to a store once a week. Save yourself some time and check out our flexible office snacking plans for offices of all sizes and budget! 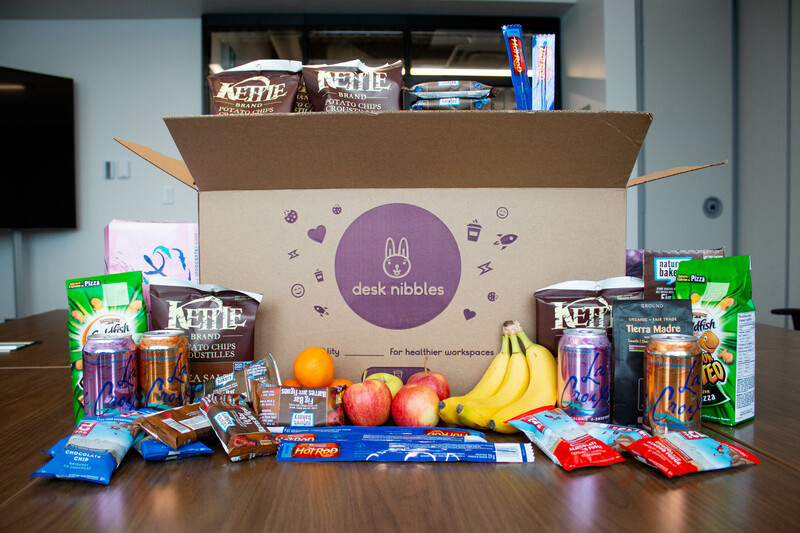 Take a look through our current monthly features that you can find in all of our office snack delivery plans! Many people avoid adding desktop distractions to their workspace. But as it turns out, they were missing out on one of the greatest tools to boost productivity! 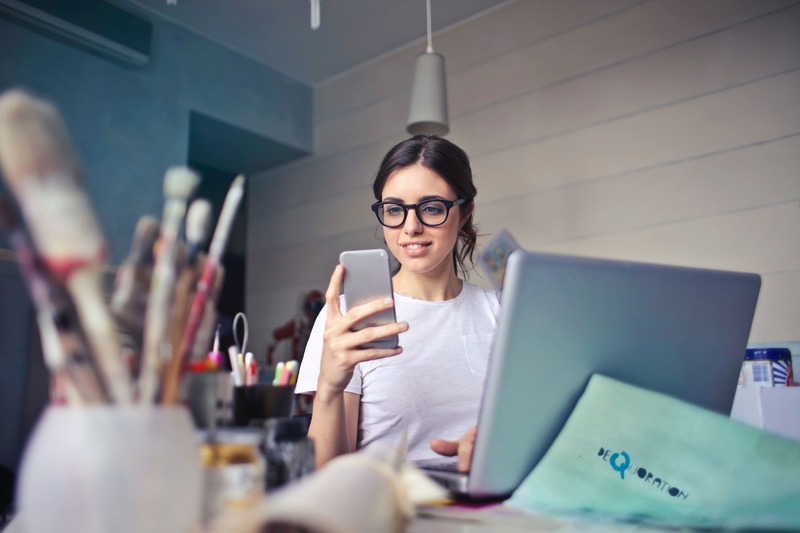 Employees that habitually click their pens, pick up crossword puzzles, or work on Rubik's cubes may seem like they are wasting their time, but are actually refreshing their mental workspace. Acting on your natural impulse to fidget bolsters creativity, relieves stress, and increases attention to detail. On top of the productivity benefits, toys and gadgets will encourage other members of the office to interact with each other and be more sociable. 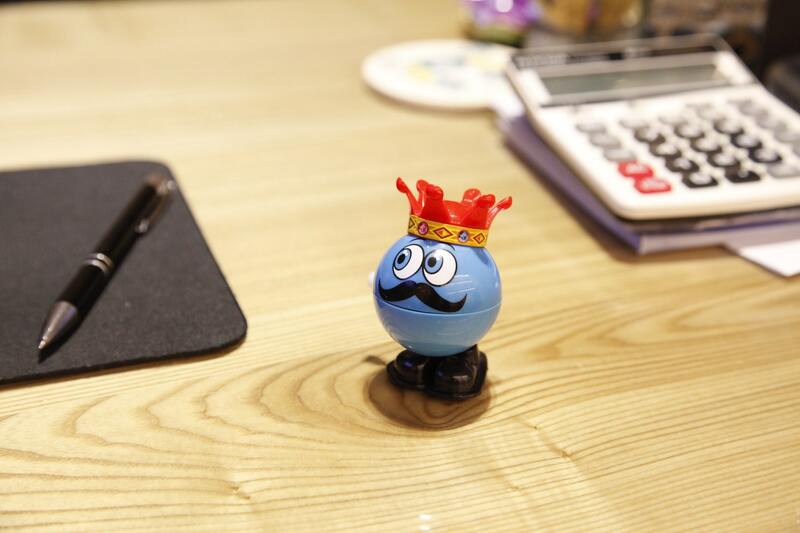 Treat yourself to some unique desk toys that will help improve your productivity, and are fun to play with, too! Here's a longer list of practical desk organization ideas that you can pick up for your office buddy! It’s important to remember the influence that our desk organization has on our daily motivation. Staying practically organized or creatively arranged in your workspace can both be superb ways to remain on task and stop burnout from slowing you down. And if there’s room for a few plants, snacks, and toys? That’s just a bonus! Since you're here, why not check out our variety of customizable snack plans to stock your office with healthy snacks?